Last season’s champions and runners-up in the Premier League played out a nervy and tense 0-0 draw at the King Power Stadium on Saturday evening, although some contentious decisions will have left the home side feeling like they should have come away with a victory. 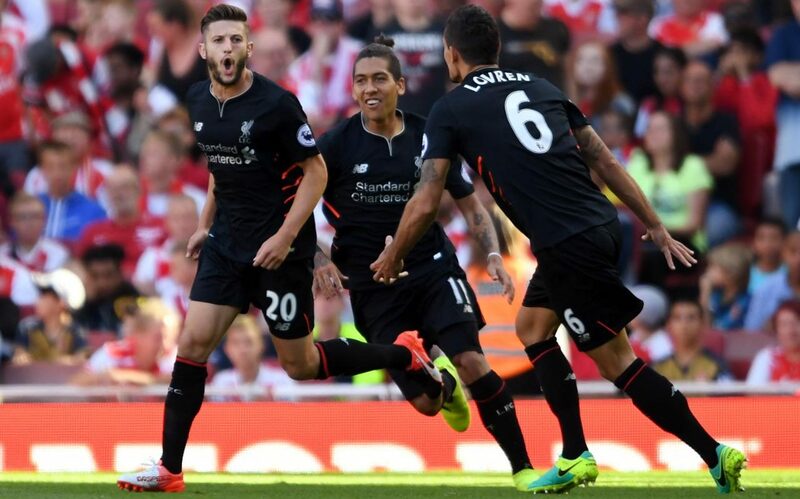 Arsenal and Leicester City both suffered demoralising defeats on the opening day of the 2016/17 season, with the former succumbing to a 4-3 defeat at home to Liverpool whilst the latter lost 2-1 at new boys Hull City, and both sides were determined not to make it two defeats from two games as they battled together here. On the whole both sides can probably be content with a point each, with each side enjoying spells of dominance throughout different parts of the game, although a late penalty shout for Leicester will have the hosts feeling like they should have come away with all three points. The two meetings between the two teams last season saw Arsenal come out on top, with a 5-2 victory at the King Power Stadium being followed by a dramatic last-gasp win at the Emirates Stadium in the reverse fixture, but in the end it was not enough for the Gunners to overhaul their rivals as they ended up finishing a distant 10 points behind the Foxes. This match-up’s intensity was also amped up due to the fact that Arsenal had tried to sign Leicester’s star striker Jamie Vardy before Euro 2016 this summer, although in the end the England international opted to stay in the East Midlands as he signed a new four-year deal with the league champions. Arsenal went in to the game with either Alex Iwobi or Aaron Ramsey, both of whom picked up injuries in the opening day defeat to Liverpool, although they were able to welcome back Laurent Koscielny to the starting line-up and Mesut Ozil and Olivier Giroud to the bench. The game started at a steady pace, with Vardy looking to get at the Arsenal defence early on whilst Hector Bellerin could have helped his side open the scoring if he had found Theo Walcott with his pass across the area. Alex Oxlade-Chamberlain looked to replicate his brilliant solo goal against Liverpool last week as he cut in from the left side to create a shooting opportunity, but in the end his effort went wide of Kasper Schmeichel’s left post. Shortly after Schmeichel was called into action, however, as Santi Cazorla’s deep free-kick missed all other players and nearly snuck it’s way into the far corner of the goal, but the Dane palmed the ball away for a corner. The rest of the first half did not see too many clear opportunities appear, with Alexis Sanchez and Granit Xhaka firing their long range efforts well wide, but shortly before the break the home side had a huge shout for a penalty as Koscielny appeared to bring down Danny Drinkwater after a scramble in the area. Replays looked inconclusive but it did seem that the Frenchman touched the ball as he went to ground to deny Drinkwater, and referee Mark Clattenburg waved away Leicester protests. There was further controversy in the early period of the second half as Francis Coquelin, already on a yellow card after going in hard on Vardy in the first half, brought down Riyad Mahrez on the edge of the area in what looked like a second bookable offence. Clattenburg again rejected calls from the home fans but Coquelin can consider himself lucky not to have been given his marching orders there. Arsenal were struggling to create much in the way of goalscoring opportunities as the game wore on, with Hector Bellerin’s ambitious driven shot the closest they came, but their opponents were finding more joy as Vardy was a constant threat on the counter. His best chance came around the 70th minute mark as broke free of the defence and bore down on Petr Cech’s goal, but after pressure from the brilliant Koscielny he skied his effort high and wide. Soon after Arsene Wenger opted to change things up by bringing on both Jack Wilshere and Mesut Ozil to help offer more in the attack, and as soon as the pair came on the away side immediately looked more dangerous. Both players added energy and invention to their team’s attacking moves and the Leicester defence had to remain vigilant to keep their opposition at bay. With the game coming to a close and the game seemingly heading for a draw, another moment of controversy emerged. Cutting down the left wing, Leicester substitute Ahmed Musa managed to get goalside of Bellerin and after he collided with the Spaniard and fell to the ground, it looked like a penalty was surely going to be awarded – however, yet again Clattenburg opted against penalising the away side and replays showed that it looked to be yet another let-off for the Gunners. In injury time Cech was required to pull out a solid save to deny Mahrez, which proved to be Leicester’s first and only shot on target of the game. Some contentious decisions meant that the Leicester fans will have felt that they should have won the game but in terms of the balance of play, a draw for both sides felt like the most appropriate result. After losing a game already this season both teams will have wanted to bounce back a win but a point here marks steady, if not particularly exciting progress.